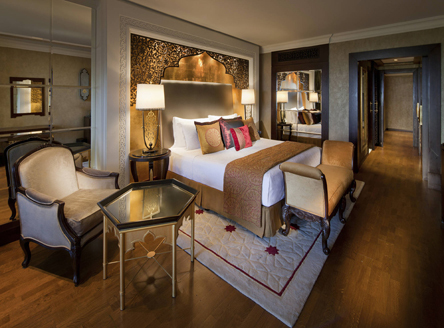 Inspired by the royal palaces of the Ottoman era, Jumeirah Zabeel Saray is a five-star luxury beachside hotel that does everything in superb style. 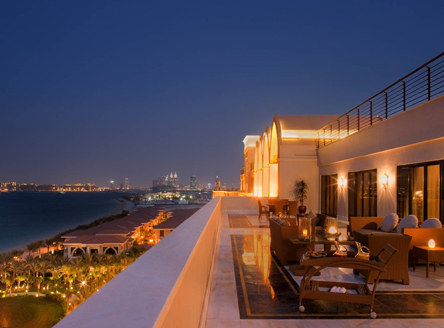 It is located on the west crescent of the iconic Palm Jumeirah in Dubai. 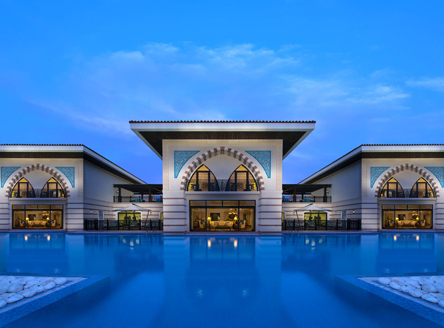 The Jumeirah Zabeel Saray has 379 elegant rooms, along with another with 64 suites and Royal Residences, all with private balconies and offering superb ocean views or of the Dubai skyline; many are also inter-connecting. With décor including Turkish art, frescoes and hand-painted murals, as well as iPod docks and Asprey toiletries, rooms are a sheer delight. Free wifi is also available throughout the hotel. 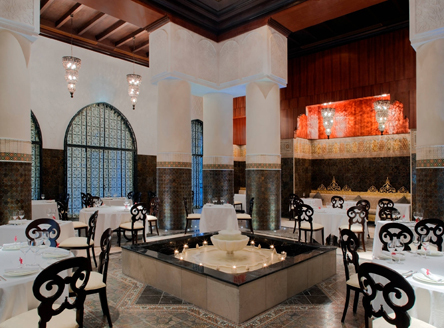 The restaurants at Jumeirah Zabeel Saray are known for their lavish, spectacular settings, but they also offer great value. 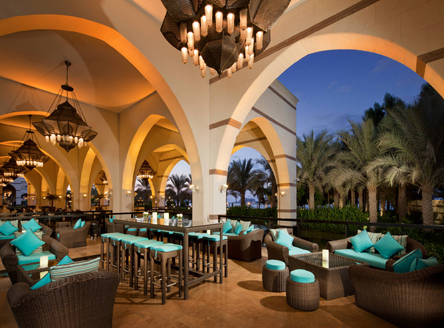 There are four signature restaurants as well as four more casual, informal venues, one of which offers all-day dining. For families, the complimentary Selim's Kids' Club offers a range of supervised daily activities as well as its own children's pool. And, if that's not enough, there's also the 59 metre main infinity swimming pool too that overlooks the Arabian Gulf! Last, but not least, all guests have free unlimited access to the Wild Wadi Waterpark. 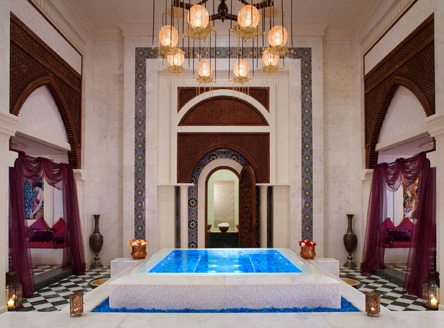 At the heart of Jumeirah Zabeel Saray lies the Talise Ottoman Spa, built from marble and exquisitely decorated with dark woods, mosaics and murals. 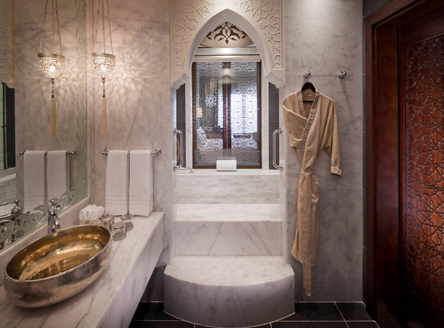 Covering 8,000m², it boasts 42 individual spa rooms and suites, an indoor swimming pool, three authentic Turkish Hammams, eight hydrotherapy rooms, steam rooms, saunas, snow rooms and floating baths. There are separate ladies and gentleman's areas and facilities also include two indoor thalassotherapy saltwater swimming pools. 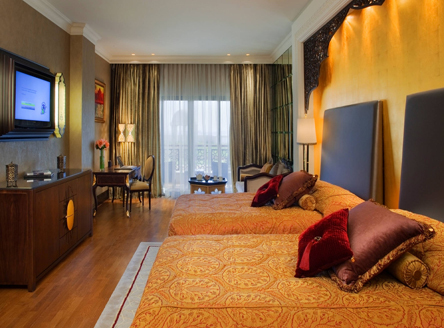 The imperial hospitality of the Jumeirah Zabeel Saray, one of our great choice of Dubai stopover hotels is further enhanced by the design and sheer scale of the property, as well as its excellent service. 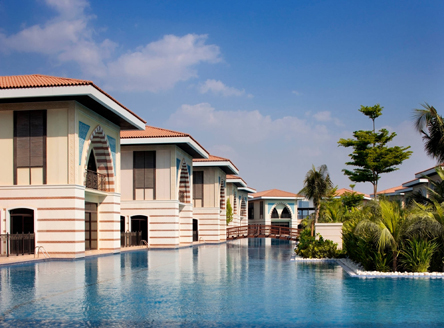 Situated on the Palm Jumeirah, it is the perfect Dubai beach hotel for combining with a luxury Seychelles holiday. 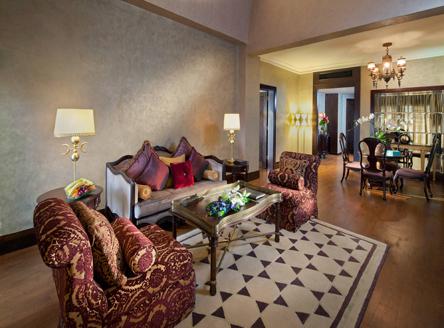 443 air-conditioned rooms & suites, with bath, shower, hairdryer, complimentary wifi access and balcony. 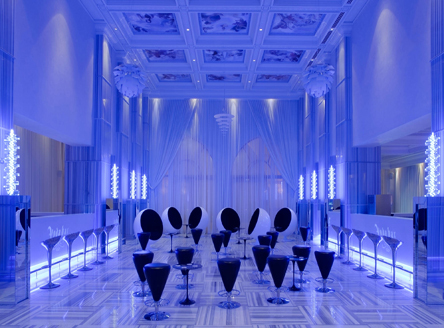 Luxurious and opulent with a huge choice of facilities. Despite its size, however, very efficient and friendly service. Being located on the Palm Jumeirah gives a sense of space too, plus complimentary unlimited access to Wild Wadi Waterpark is a real bonus! 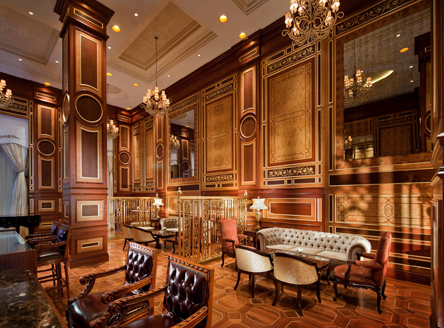 “The sheer size of the imposing lobby as you arrive is amazing. 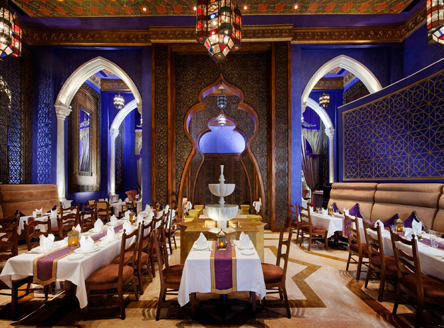 A real plus is the fantastic choice of restaurants, including all-day dining at the Imperium. 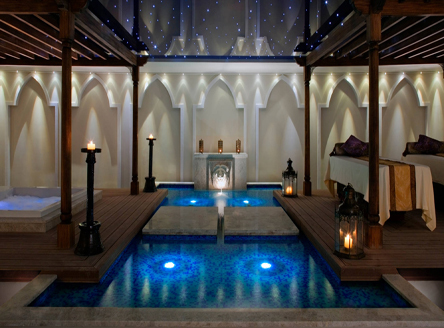 A treatment (or two) at the Talise Ottoman Spa should also not be missed. Great for families as the hotel has a super Kid's Club as well as a great beach."